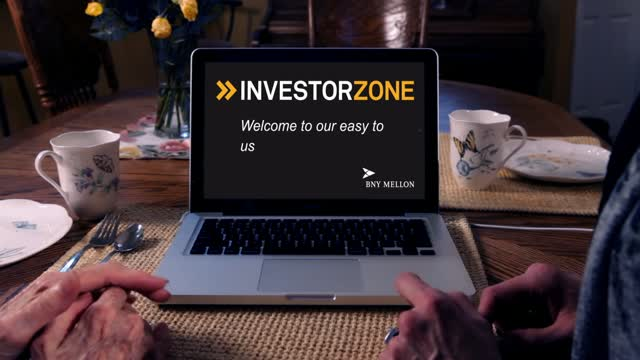 Introduction to BNY Mellon's Investor Zone. Nick Clay looks at the opportunities and challenges for investors around 5G technology. What will have changed in the world by 2021? Investment specialists from across BNY Mellon's boutiques give their take. ¿Quién es BNY Mellon? ¿A qué se dedica? Conoce un poco más sobre nosotros en un video resumen de 2 minutos. Paul Flood, portfolio manager at Newton, gives a short update on what lies ahead for alternatives in 2019 and how alternative investments can benefit investors. Catherine Doyle, Investment Specialist del fondo multi-asset globale BNY Mellon Global Real Return, offre un aggiornamento dettagliato sull'andamento del fondo, sul posizionamento di portafoglio e sull'outlook di mercato del team di gestione. Naomi Waistell, portfolio manager at Newton, gives provides a review of 2018, an update on the Newton Global Emerging Markets Fund and talks around why now is a good time to invest in EM. Find out more about the future of mobility. Connectivity, Autonomous, Sharing and Electrification are the four key drivers that will change the way we move. The mobility revolution is here. And the BNY Mellon Mobility Innovation Fund gives you the opportunity to be a part of it. A brief introduction to 15 things that make modern investing. Find out more here: https://web.bnymellonim.com/agents-of-change/eu/ (Pan-Euro Only). A brief introduction to 15 trends that make modern investing. Find out more here: https://web.bnymellonim.com/agents-of-change/fr/ (France Only). A brief introduction to 15 trends that make modern investing. Find out more here: https://web.bnymellonim.com/agents-of-change/de/ (Germany Only). A brief introduction to 15 trends that make modern investing. Find out more here: https://web.bnymellonim.com/agents-of-change/it/ (Italy Only). A brief introduction to 15 things that make modern investing. Find out more here: https://web.bnymellonim.com/agents-of-change/es/ (Spain Only). Sasha Evers, Director General de BNY Mellon IM para Iberia y América Latina, resume la visión macroeconómica de cara a 2019 que aportan la visión de las gestoras especialistas de BNY Mellon. Paul Flood will discuss the diversification benefits offered by alternative assets, including renewables and infrastructure, and consider their performance over the course of 2018. He will also look ahead to prospects and opportunities for capital markets in 2019, as well as the underlying characteristics which make alternative assets appealing. Nick Clay provides a short update on Q3 activity and the fund's performance, as well as market activity. George Dent and Tom Miedema from Walter Scott provide a brief refresher on the firm’s approach and discuss the results of a deep dive into Industry 4.0, bespoke research conducted to gain a better understanding of the threats and opportunities posed by these emerging technologies. This year has brought an increase in volatility to EM, and questions over market resilience in the face of a stronger US dollar, skirmishes in trade negotiations, as well as a number of political changes. This discussion will consider how the asset class as a whole appears stronger relative to other periods of rising interest rates, but investing actively is key. Emma Mogford provides an update on the Newton UK Income Fund. Our multi-boutique investment management model encompasses the investment skills of world class specialist investment managers. This channel is for UK and European professional investors only.